Nestled in the heart of downtown Salt Lake City, the Lion House was built in 1856 as the family residence of Brigham Young. 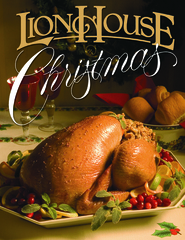 The ground level is now the site of the Lion House Pantry, where hot meals and delicious bakery items are served to the public daily. The main and upper floors are used for banquets, wedding receptions, and other catered events. Head baker at the Lion House Bakery since 1999. 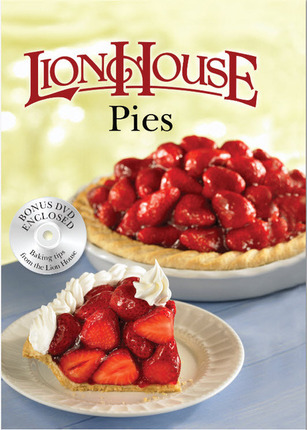 Brenda L. Hopkin compiled the recipes for Lion House Pies. This has so many great pie recipes, it's the only pie cookbook you will need. The DVD has many helpful tips and offers great instruction for making the perfect pies. I can't wait to try some of them out. Warning Pictures Make You Hungry! I love to bake any kind of dessert, and this book is full of them! My favorite recipes were the FIVE different pumpkin pies, variations on the apple pies, and the White Chocolate Macadamia Pie! I also enjoy the advice for the perfect crust and the emergency substitutions listing.